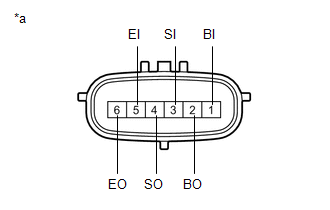 An open or short circuit in the communication line between the rear sensors and ECU or a malfunction in a rear sensor during initialization mode after the engine switch is turned on (IG). (b) Disconnect the Q1 No. 1 ultrasonic sensor connector. (a) Disconnect the Q2 No. 1 ultrasonic sensor connector. (a) Disconnect the Q3 No. 1 ultrasonic sensor connector. (a) Disconnect the Q4 No. 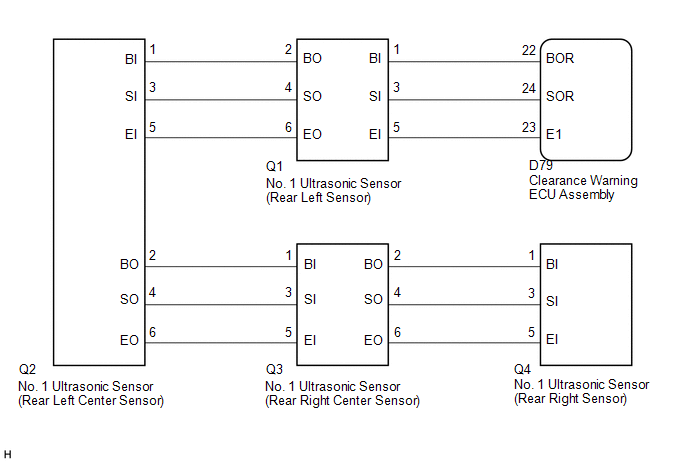 1 ultrasonic sensor connector.